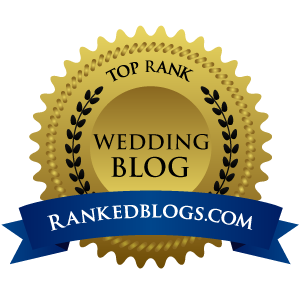 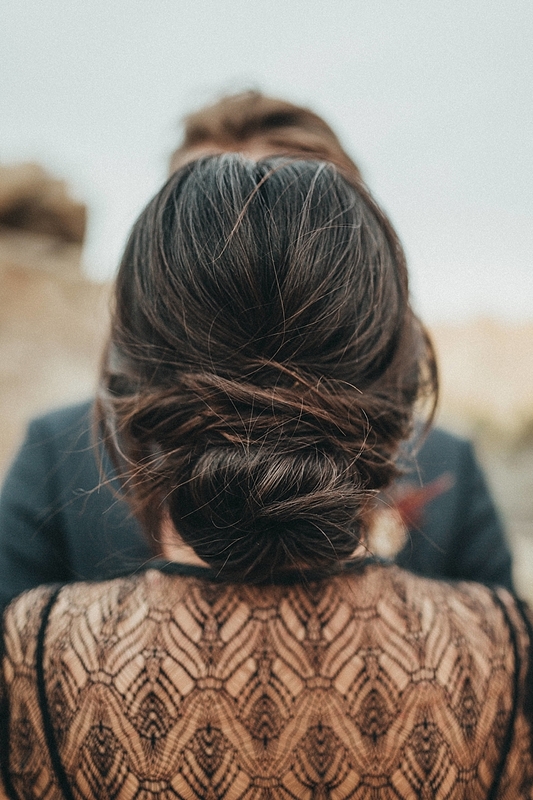 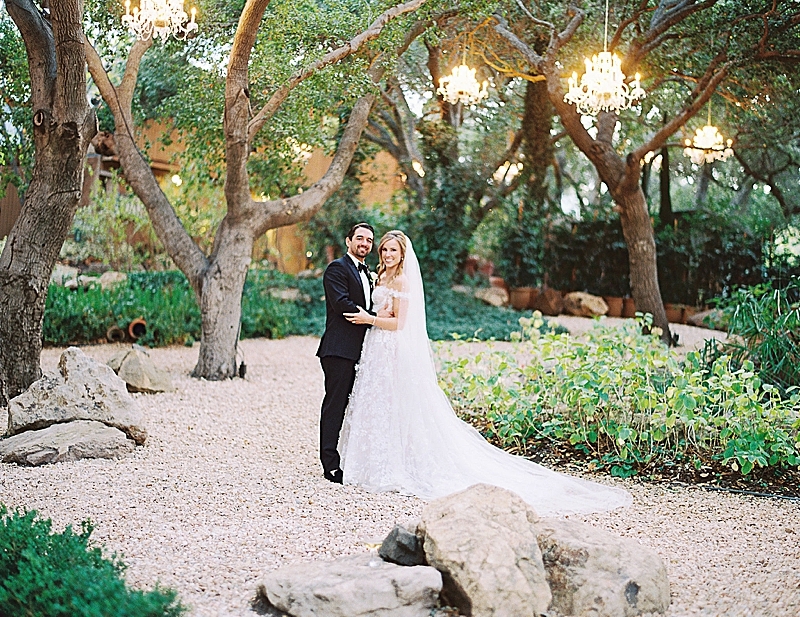 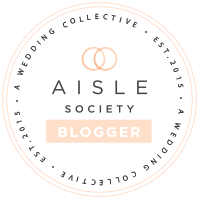 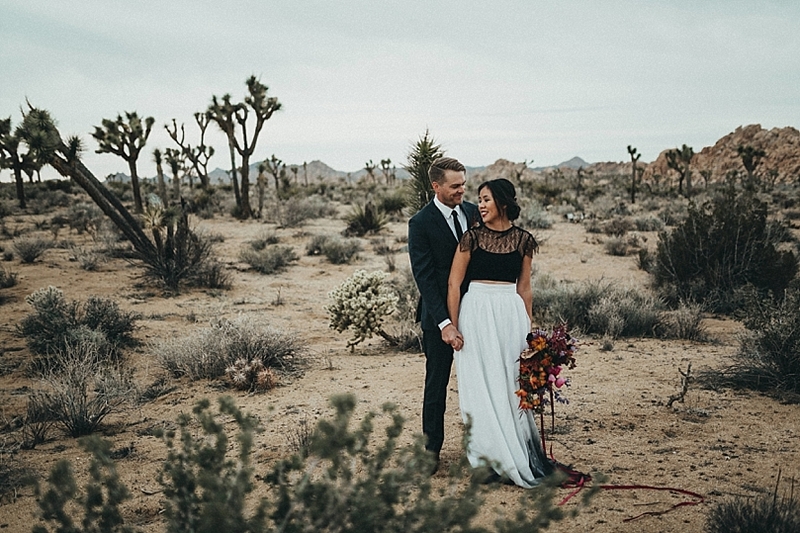 "Nadia and Gunnar are a SoCal photographer couple that I met a while ago at a workshop. 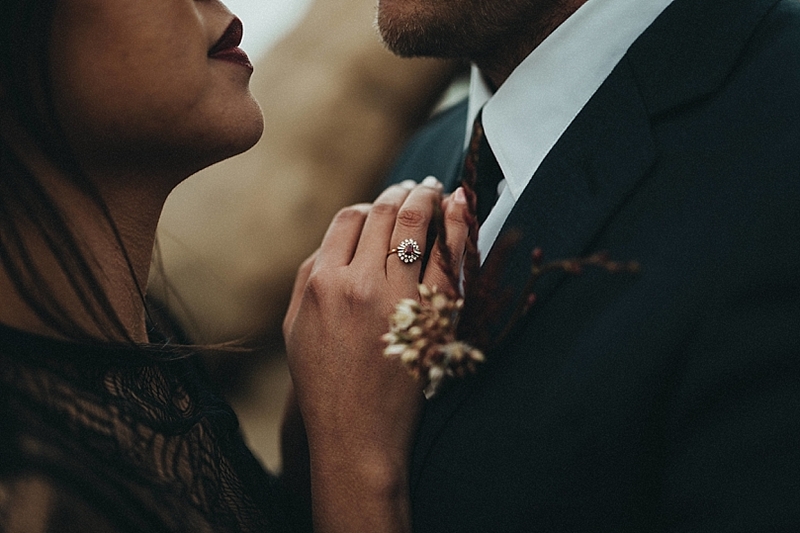 I loved everything about their look and this calm connection they have between them. 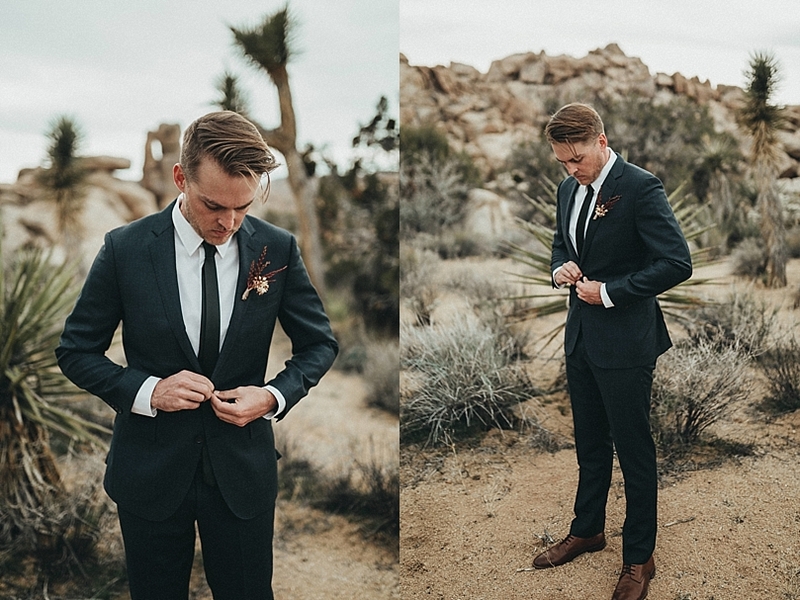 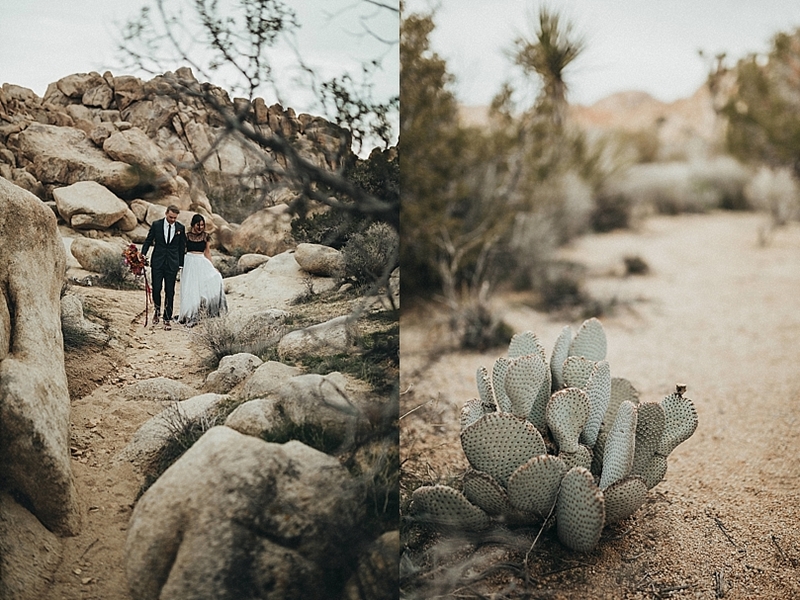 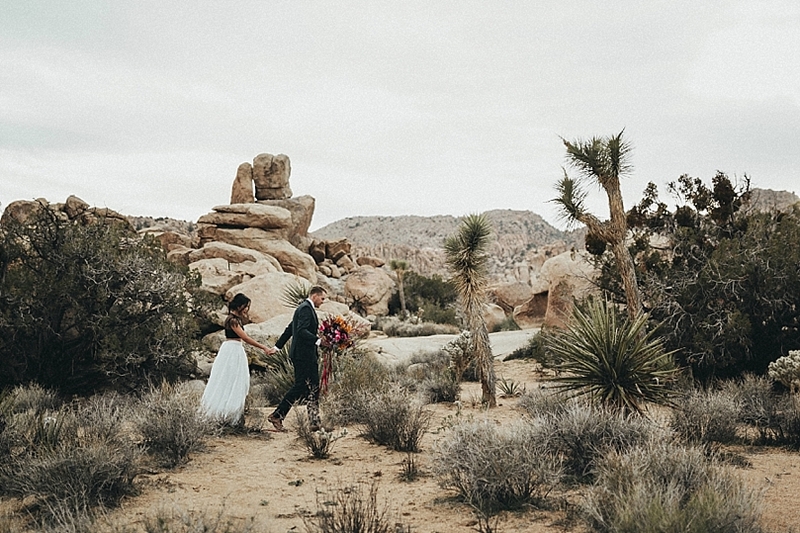 When I started planning a trip to Joshua Tree, I knew I wanted to work with them. 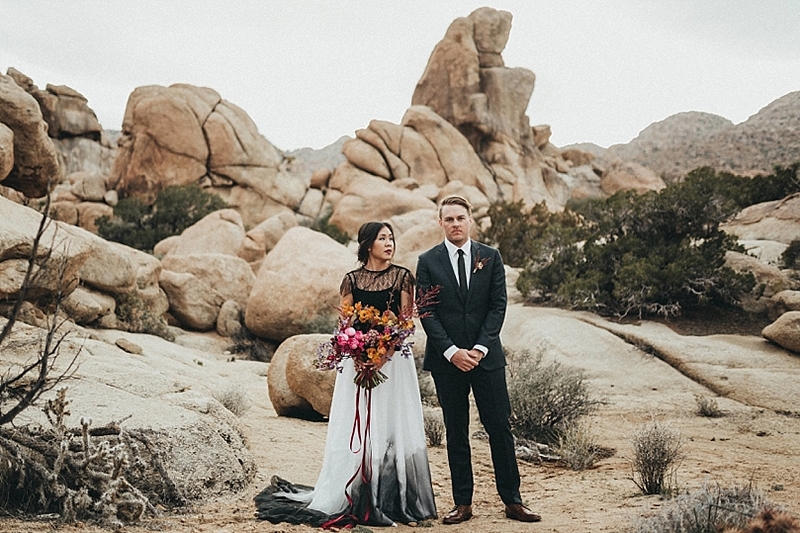 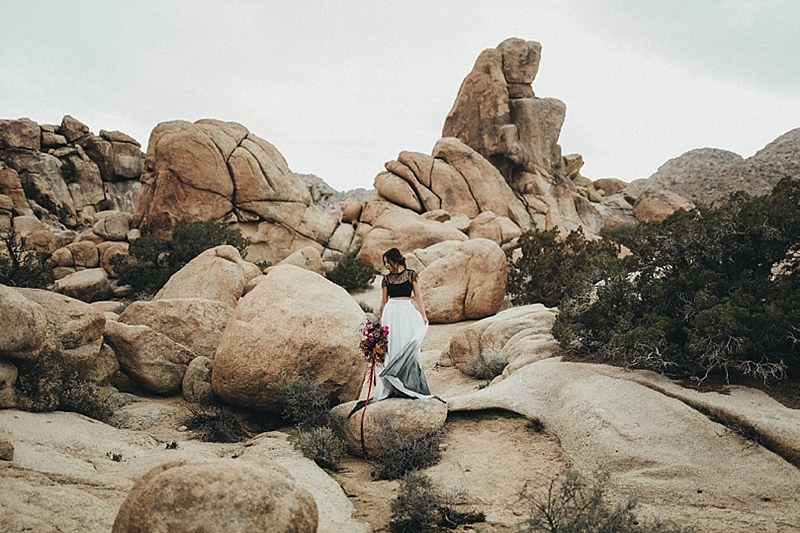 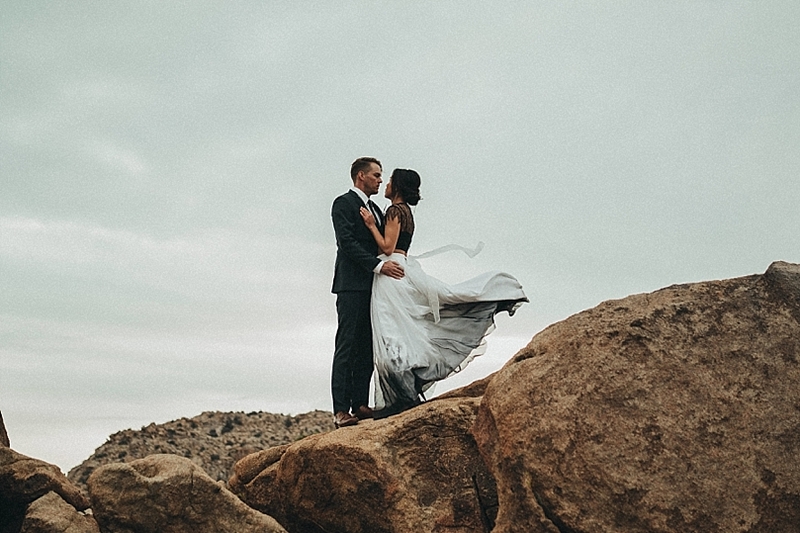 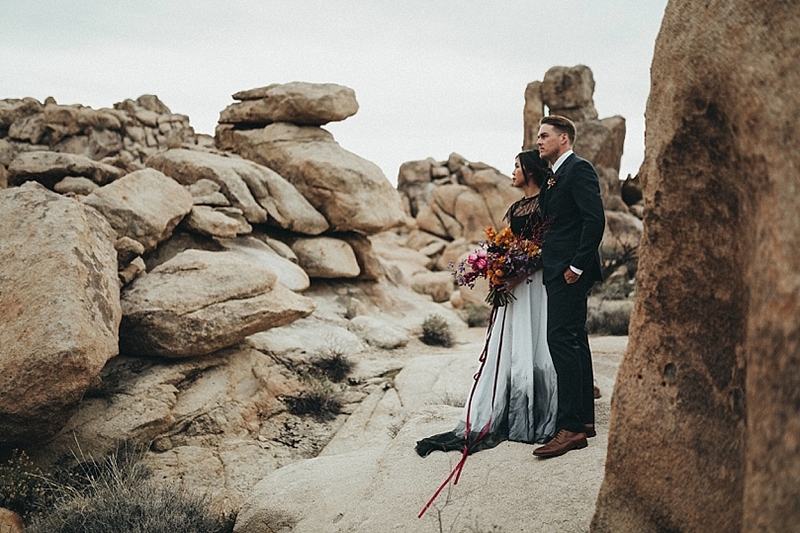 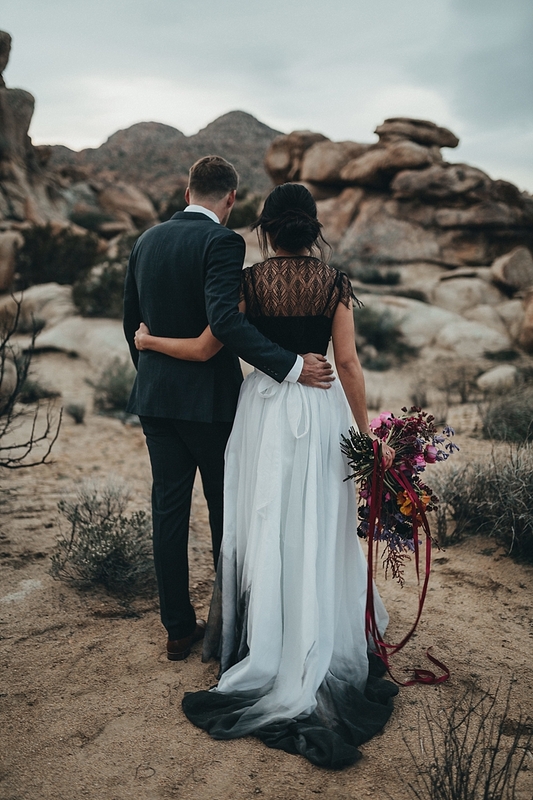 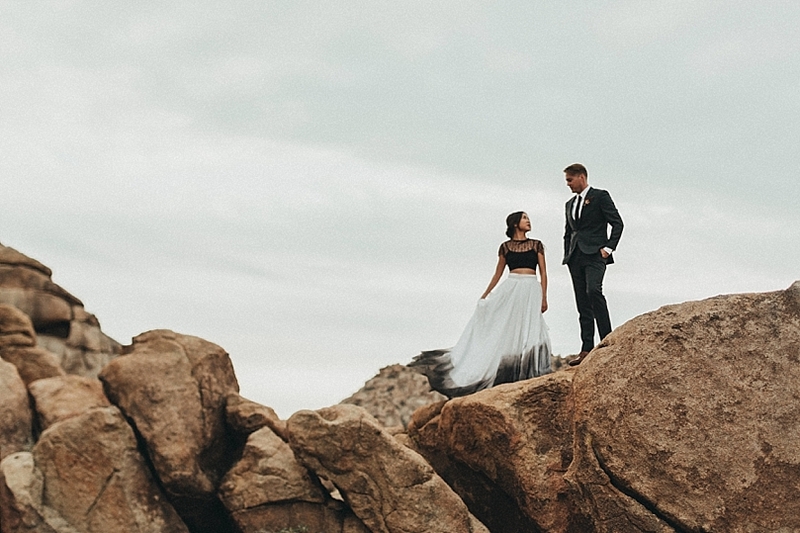 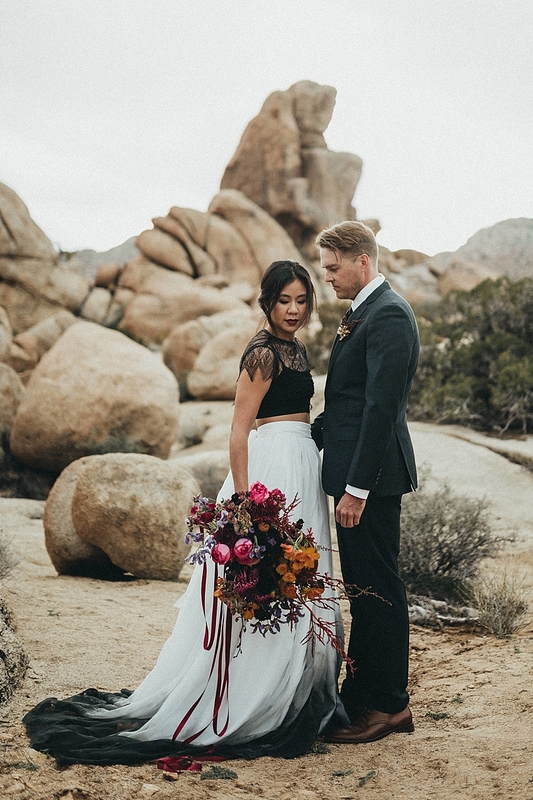 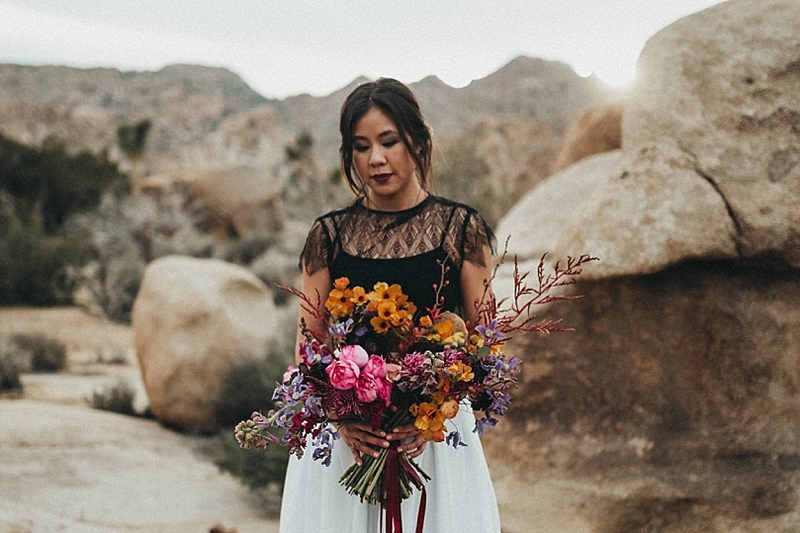 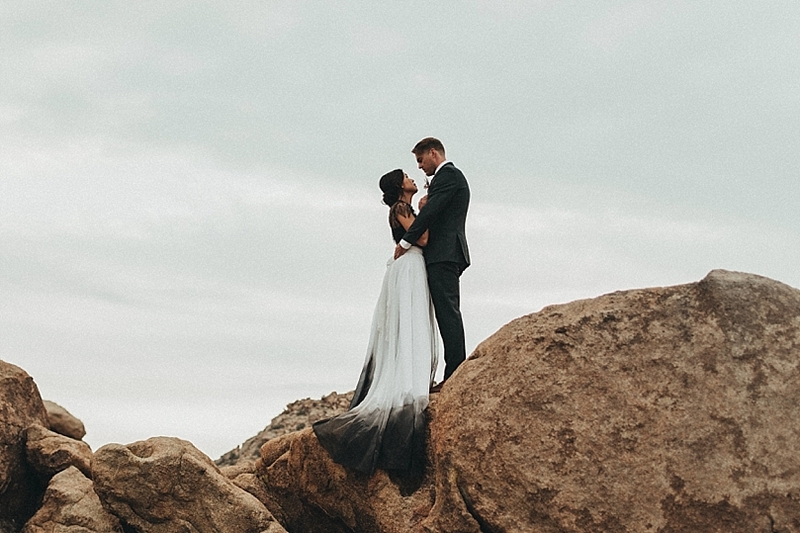 The shoot was planned around contrast - the contrast between the formal attire and the desert, the rich, bright colors in the flowers and the dry browns of the scenery, the top and bottom of the gown and the way the white and black contrasted the natural tones around them, etc.